What do you do after serving in the military, obtaining a degree in chemistry from Clemson University, and traveling the country as a physical therapist for a World Series Champion baseball team? If you’re Andrew McNally, you take your love of homebrewing and open Common Bond Brewers, Montgomery’s first production brewery and taproom. Luckily for us, McNally loves talking beer and educating people about the growing craft beer movement. Don’t know what style of beer you like? What’s the difference in a Pale Ale and Blonde Ale, anyway? Which of your favorite foods pair well with your favorite beer style? 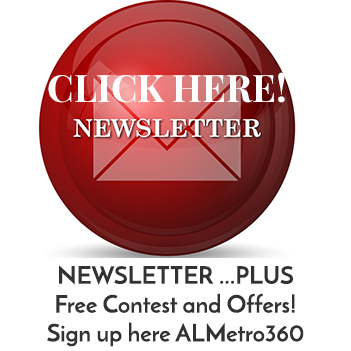 McNally recently shared some insight into the world of beer styles and tastes. McNally said, “There are four basic components of beer water, barley, hops and yeast. When these are managed in different ways, they provide different flavor profiles.” Over the years, McNally has done a lot of experimentation with brewing, which led to what he calls the “Flagship 4” Common Bond currently offers: an India Pale Ale (IPA), Pale Ale, Blonde and Ramber. McNally continued, “All beers have different flavor profiles that pair well with different food styles. You can have complementary pairings where you have something malty that goes with something meaty or smoky, or you can do contrasting pairings to break up your palate. Like if you go over to our neighbor, Bibb Street Pizza, and get a slice of pepperoni pizza with that marinara that’s a little acidic, having our Ramber with it, which has got a little bit of sweetness to it, cuts through that acidity.” Common Bond’s website provides a great listing of different foods that go well with their beers, and McNally added a few others. He said the Blonde Ale pairs really well with a light salad or anything on the light side. He called the Pale Ale a good middle of the road taste that can go with anything, but he particularly prefers it with most sandwiches. As far as what’s next for Common Bond, McNally shared, “We’re already in the process of expanding our line up. We always want to offer our Flagship 4, but we have 12 taps. One day, hopefully sooner rather than later, we’ll have all 12 of those taps running with different styles of beer.” Now that you’re armed with some general knowledge, go by and try out the Flagship 4 for yourself! 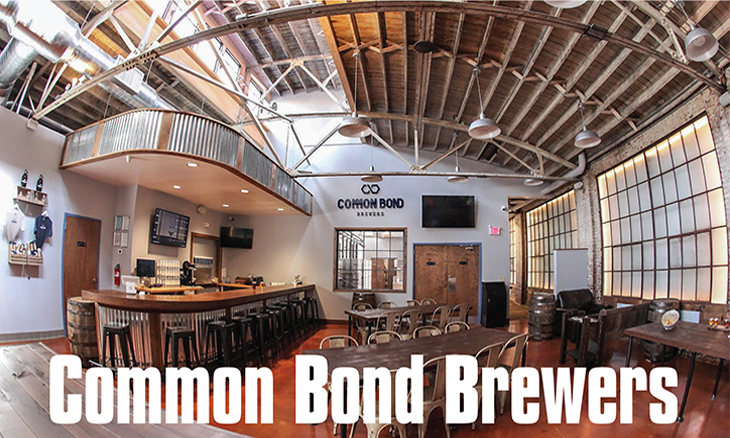 Common Bond Brewers is open 4 to 10 p.m. on Thursdays, and noon to 10 p.m. on Fridays and Saturdays.